Freedom Pet Pass door-mounted pet doors can be installed by beginner DIYers. Click below for written and video instructions. 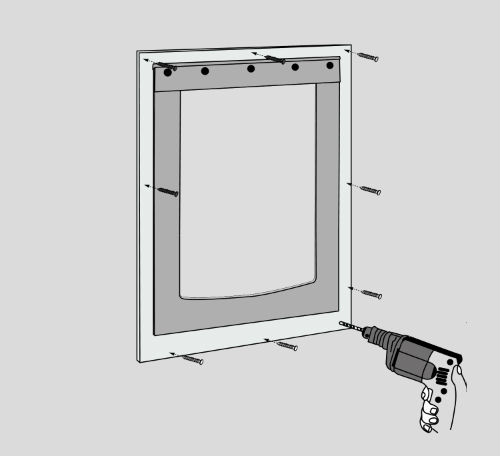 Freedom Pet Pass wall-mounted pet doors install and trim out like a window. Freedom Pet Pass Basic doors can be used in a variety of special projects. Click below for installation guidelines. Freedom Pet Pass cat and dog doors are engineered to be easy-to-install for pros. Click below to learn more about professional installers.